Does your home or business still have an old style fuse board? Do you need a consumer unit upgrade and don’t know who to call? Are you concerned that your fuse box has no RCD? 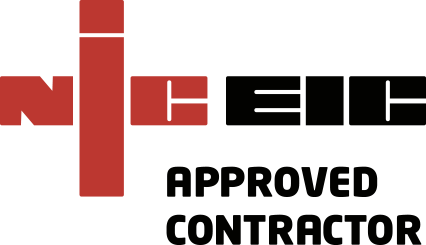 Our team of 16 engineers are highly qualified and compliant with all the latest industry rules and regulations, so you know the job will be done properly, guaranteed. We are a large Electrical Contractor catering to domestic and commercial clients in the Norfolk and Suffolk areas. MTS Electrical can upgrade your old fuse box to a new consumer unit with RCD expertly and quickly, and at a great price. Why is a fuse-board important? A consumer unit (or fuse board) can be a life saver, literally. However a faulty one can be a serious problem and it’s always wise to get yours tested if you’re not sure of its current state of repair. We can provide you with an Electrical Installation Condition Report which will show whether your consumer unit needs updating, and also whether there are issues elsewhere in your electrical system. EICR’s are also a great idea if you’re buying an older house and want to check the state of the electrics first, and your new consumer unit can be installed before all the decorating and refitting work is carried out. Old style fuse-boards can be dangerous. There have been many improvements over the years, and the older boards have no RCD (Residual Current Device). An RCD is designed to prevent you from getting a fatal electric shock if a live wire is accidentally touched, such as when drilling into a wall. It can also help provide protection against electrical fires. They work by detecting an imbalance in the current when there’s an earth leakage caused by a fault in the circuit, or by an accident as mentioned earlier. How can I test my unit? You can see if your current unit has an RCD by looking for a TEST button. If it has one try it out and see if it’s working, and if not get in touch with us and let us know as soon as possible. When we upgrade your consumer unit you will be issued with an installation certificate and a Part P certificate, so call us on 01493 717 206 to ask for advice on consumer unit upgrades and get a free quote.